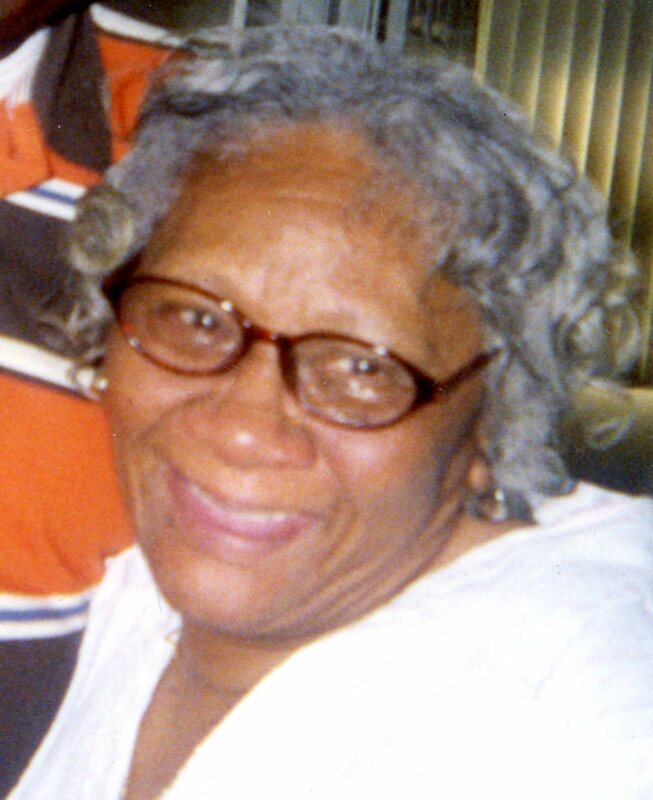 Ruby Louise Lewis, age 87, was born August 8, 1928 and went Home to be with the Lord November 15, 2015. Ruby was a faithful charter member of St. Thomas Baptist Church; there she was the FIRST member to join, she served as the Church Mother and with the Choir and Deaconess Ministries. Ruby was preceded in death by her parents Thomas Broady Sr and Clarice Mae Arnold, husband Paul L. Lewis, children Gregory Lewis and Estella Lewis, siblings Thomas Broady Jr., Gerald Broady Sr., Marcella Allen, Anna Kimble and Betty Fain, and grandson Dennis Lewis. Left to cherish her memory, sons Michael E. Lewis and Daniel (Nova) Lewis, daughters Sharon M. Smith, Arjeania (Ricky) Woodard, Paula A. Lewis and April I. Lewis, brother Guy E. Arnold Jr., sisters Estella I. Bass and Janet L. Shannon, 11 grandchildren, 16 great grandchildren, 4 great-great grandchildren and a host of nieces, nephews, other family and friends. Visitation 11:00am and Funeral 12:00 noon Friday November 20, 2015 at Triedstone Baptist Church 858 E. 3rd Ave. Interment at Union Cemetery. Ministry of Comfort entrusted to MARLAN J. GARY FUNERAL HOME, THE CHAPEL OF PEACE 2500 Cleveland Ave.
To god be the glory to the family of Ruby Lewis my prayer are with you keep the faith keep holding on to each other cause ruby swinging on the pealing gate be blessed.